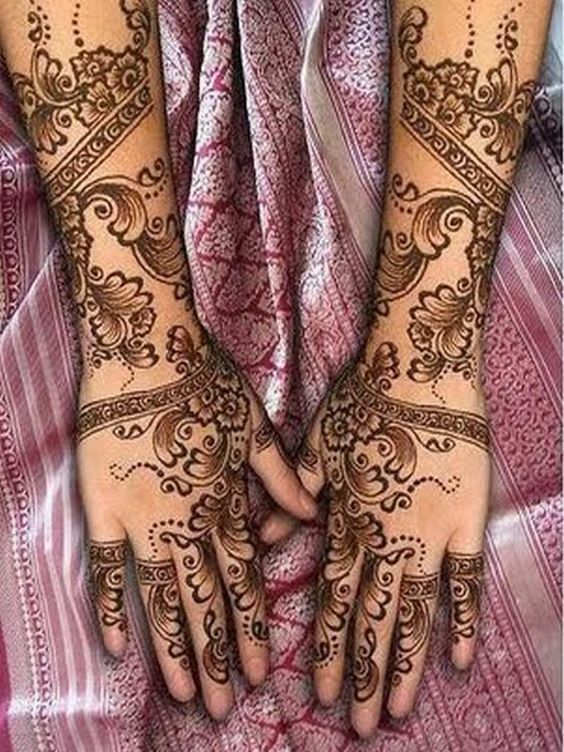 Arabic mehndi designs are famous all over the world for the lovely details and the great patterns that are quite striking. 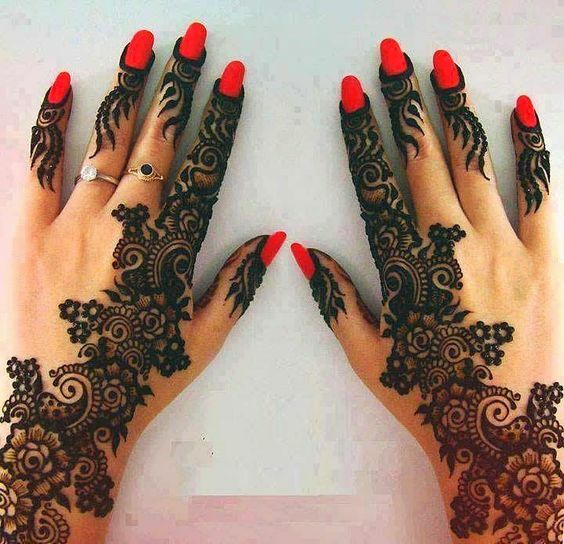 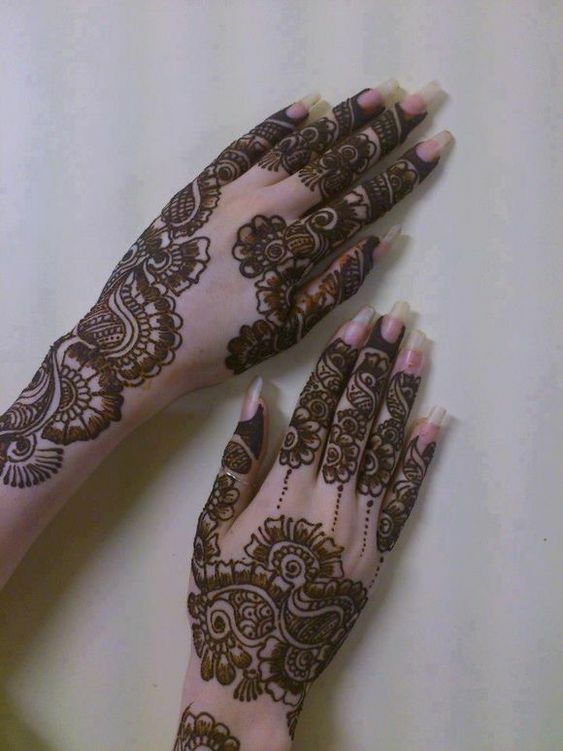 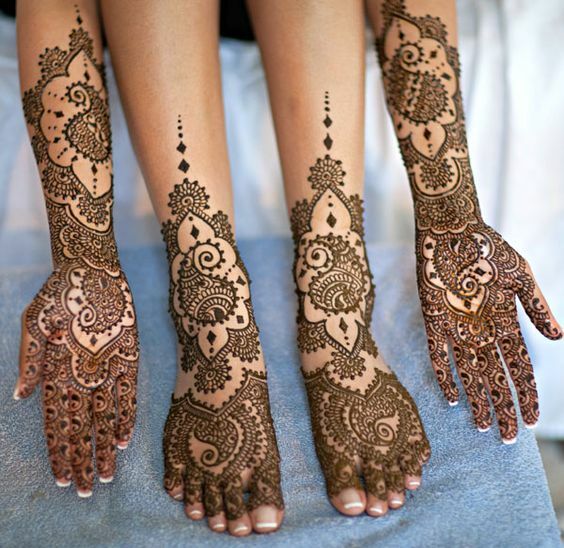 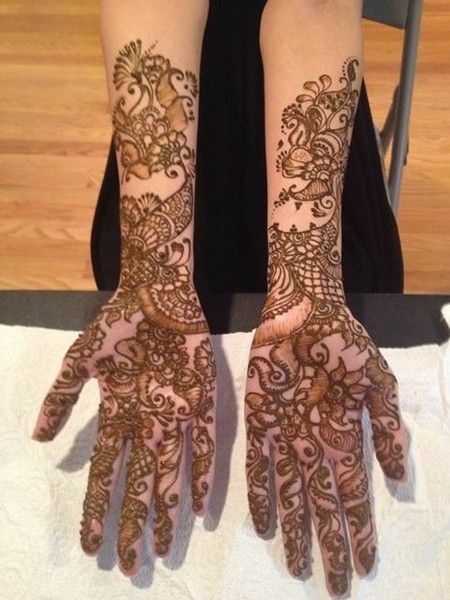 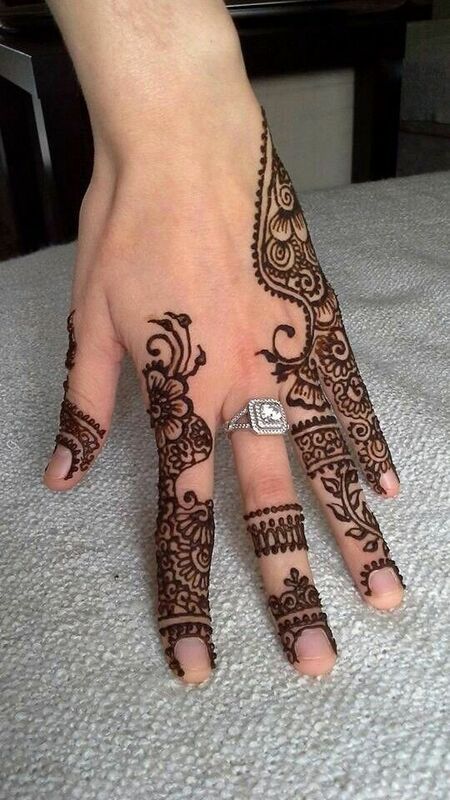 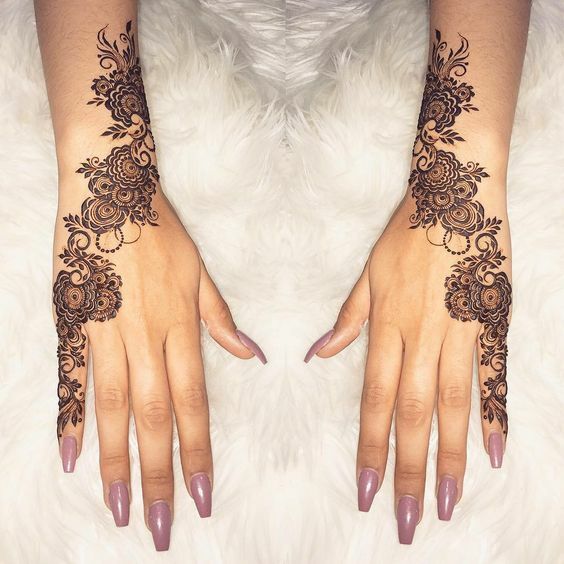 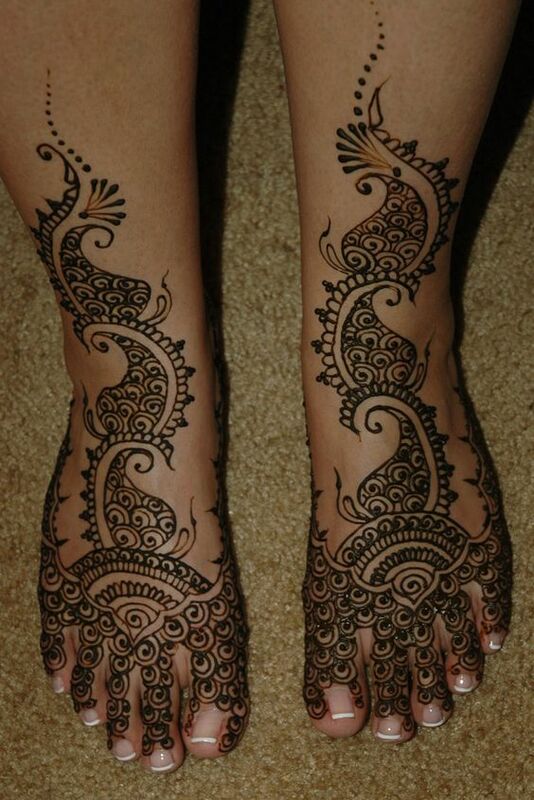 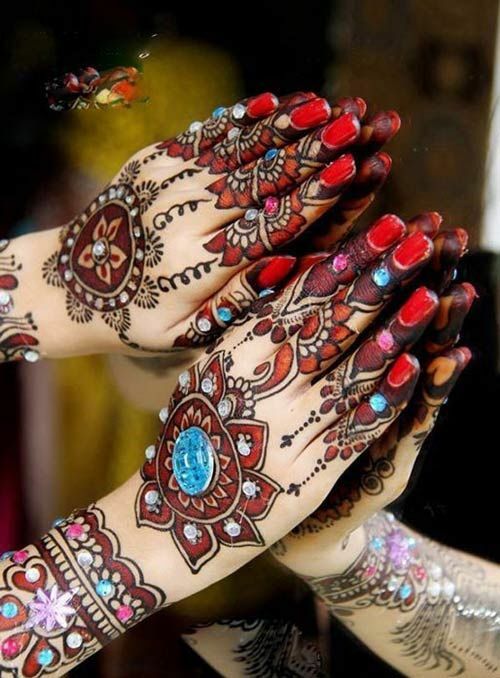 How gorgeous is this Arabic mehndi design on a bride's hands where you can see various patterns including flowers? 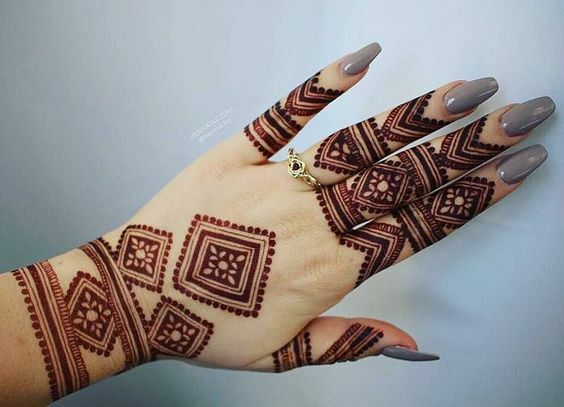 The work on the fingers also looks amazing. 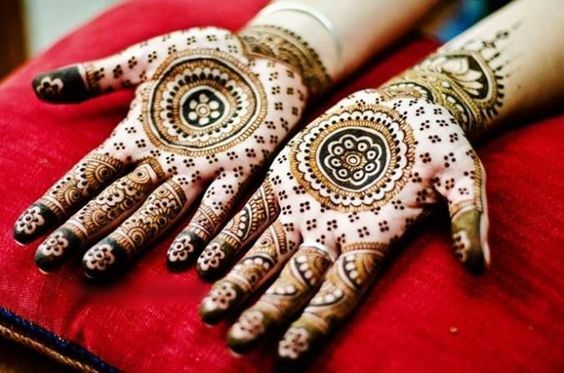 If you like intricate and beautiful mehndi designs that can make your hand look delicate and pretty then have a look at this bridal mehndi design. 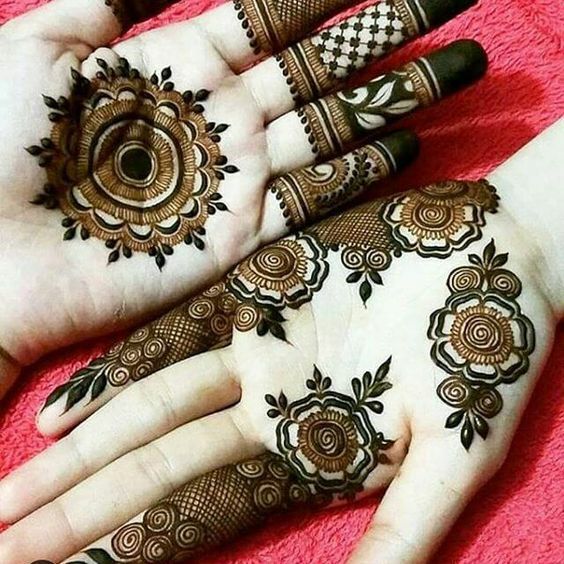 It has been made at the back of the hand where you can see there are two beautiful patterns on both hands which are different from each other. 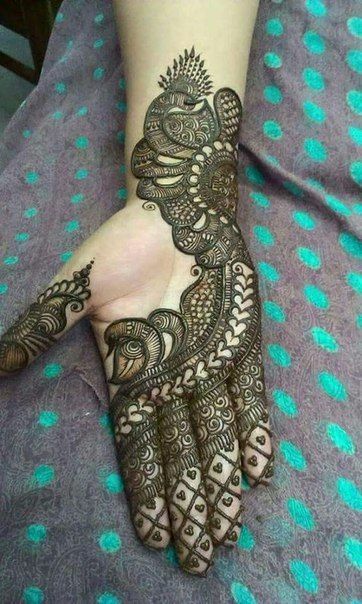 All you bride to be's, have a look at this stunning mehndi design and I am sure your search for the most perfect design will be over. 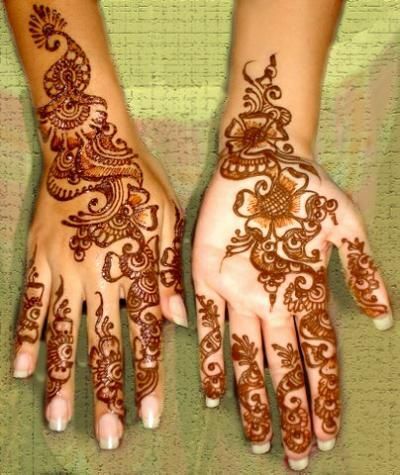 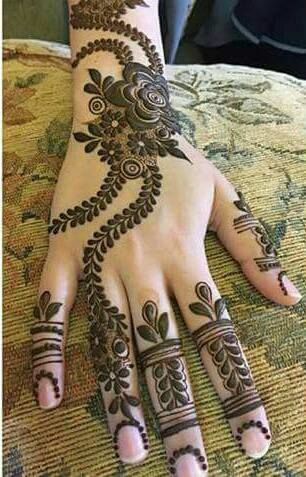 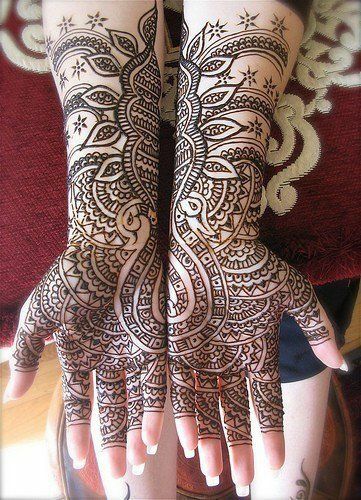 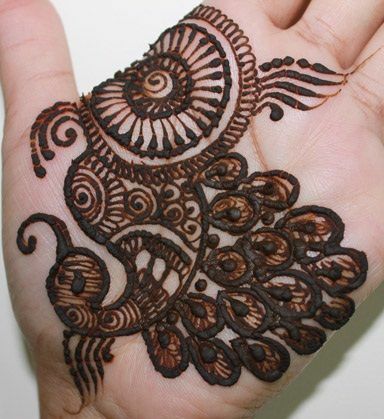 This is a lovely mehndi design which has heavy patterns and the whole hand is filled with them. 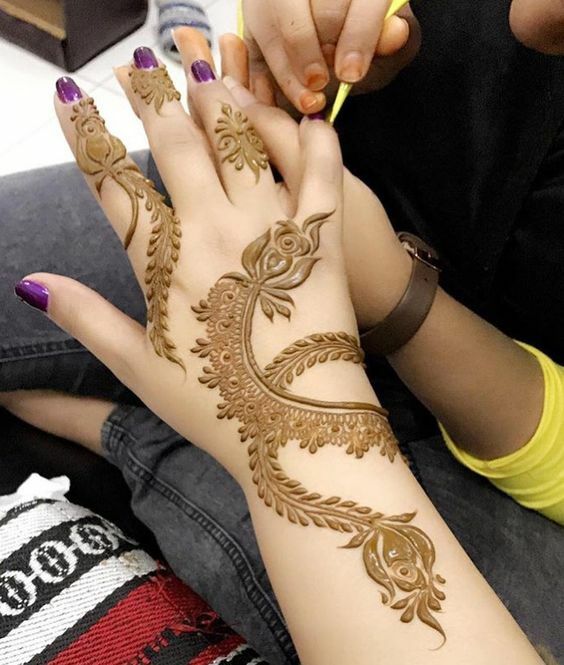 Floral mehndi designs have a beauty and charm of their own and you can literally create any kind of design with them no matter it has fewer patterns or larger patterns. 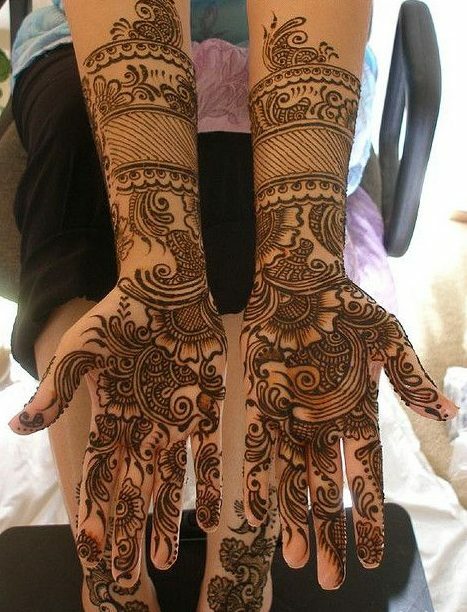 Here is one floral Arabic mehndi design for brides that looks breathtaking and you are definitely going to love it. 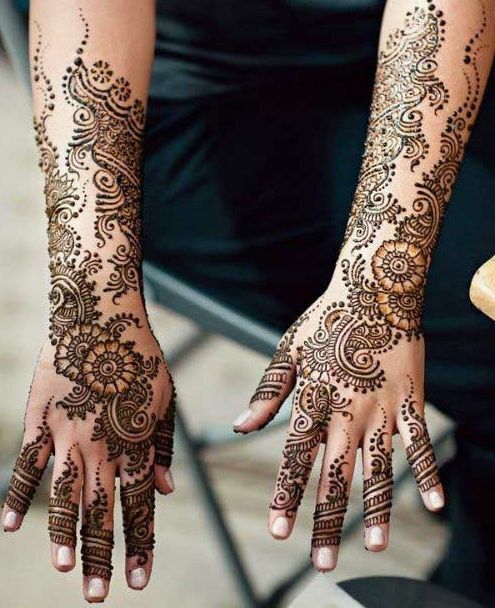 Bridal mehndi is very precious to every girl who is getting married and it is an extremely important and a difficult task to choose the right and the best design. 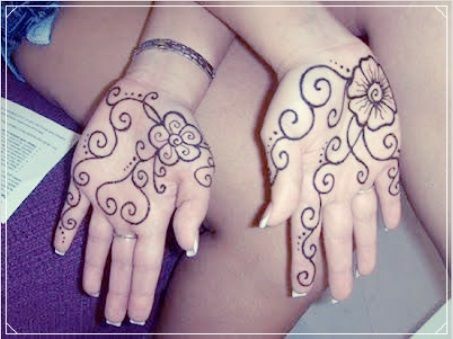 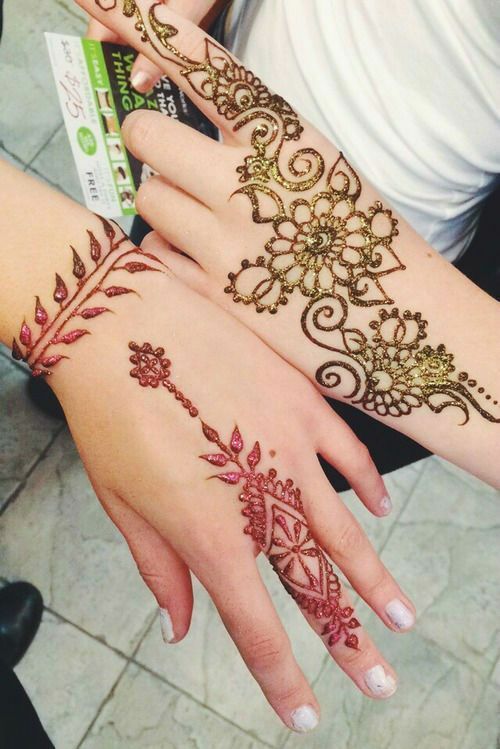 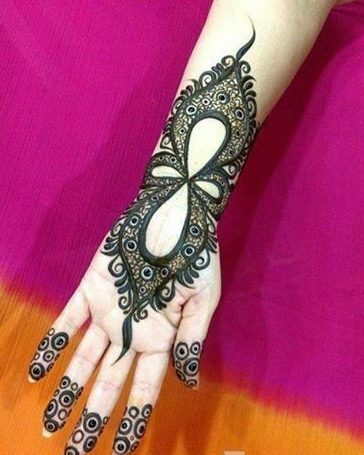 Here's one amazing mehndi design to make your life a little easier. 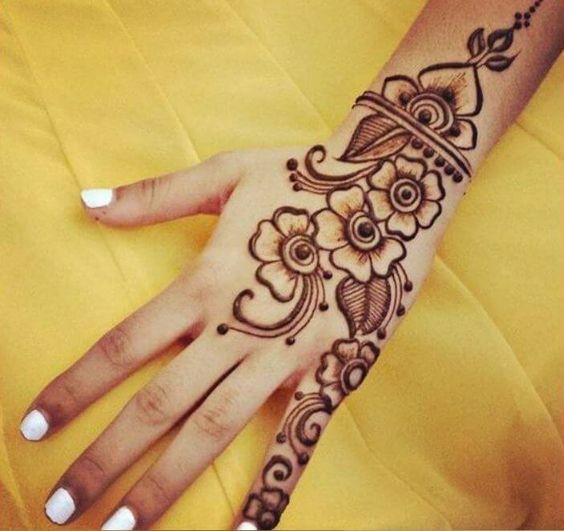 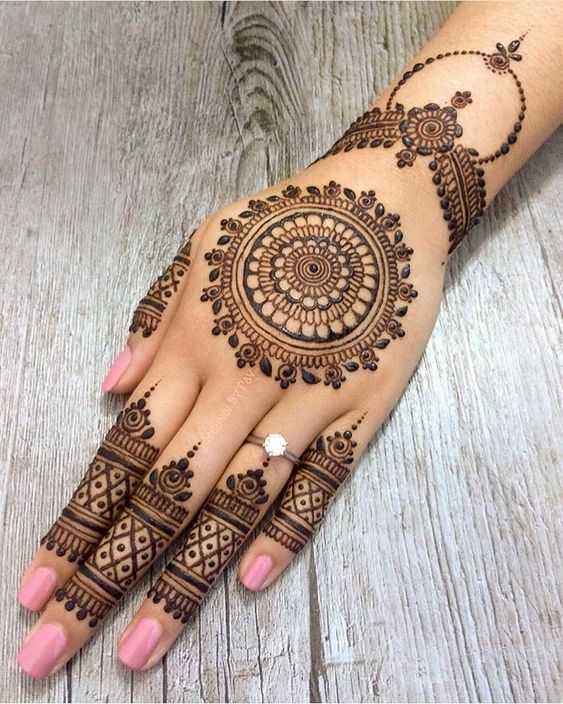 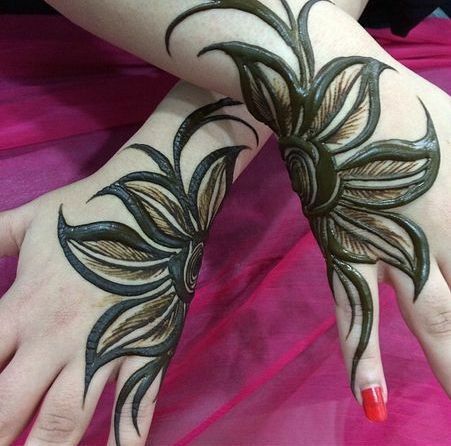 You can attempt to make this Arabic mehndi design and look amazing. 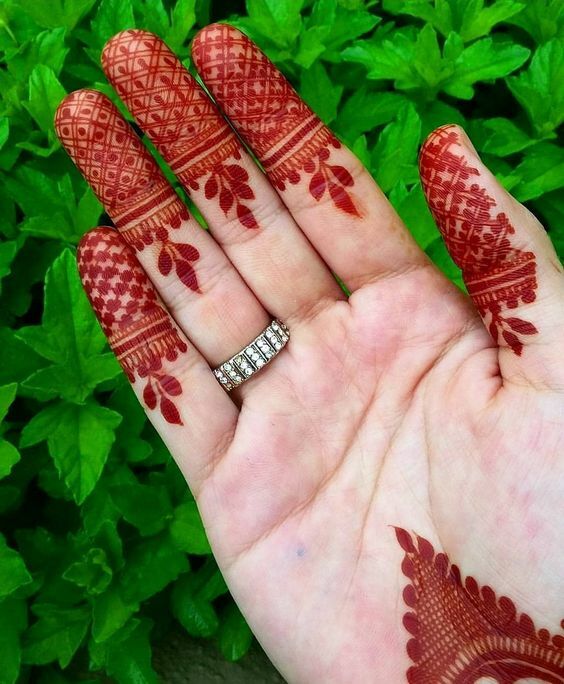 We all know such brides who prefer heavier mehndi and don't like to leave big blank spaces on their hands. 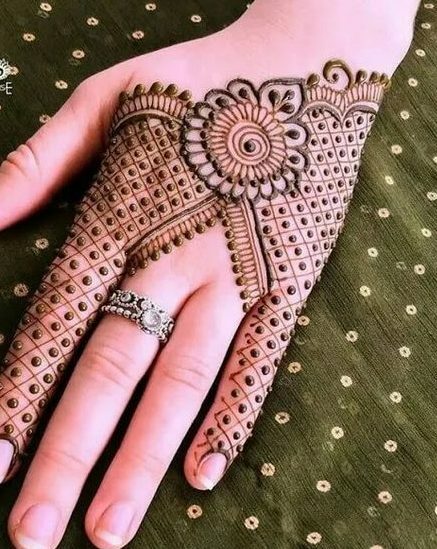 Here comes a design that is perfect for such type of brides. 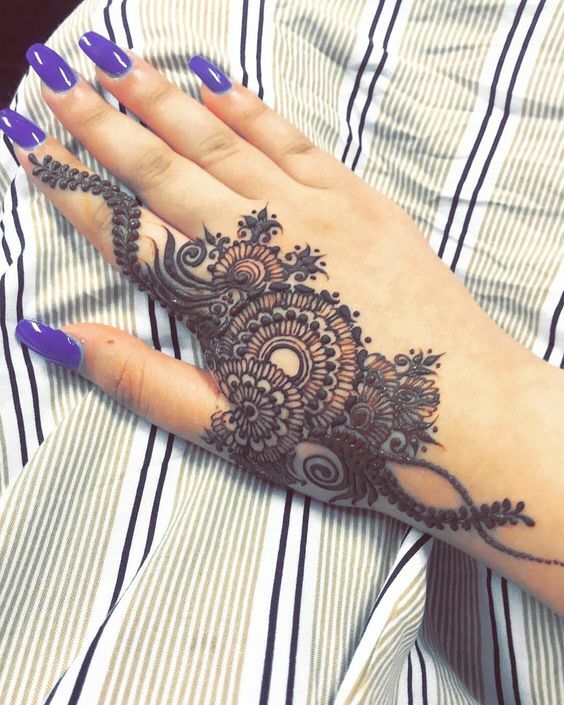 This design is very eye-catching and has some amazing patterns on the front hand. 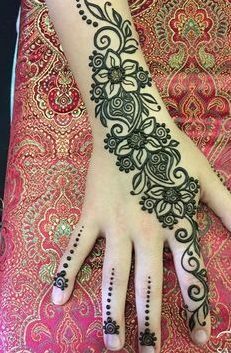 Arabic mehndi is not always about filling the whole hand and arm with mehndi patterns but you can also leave some spaces behind. 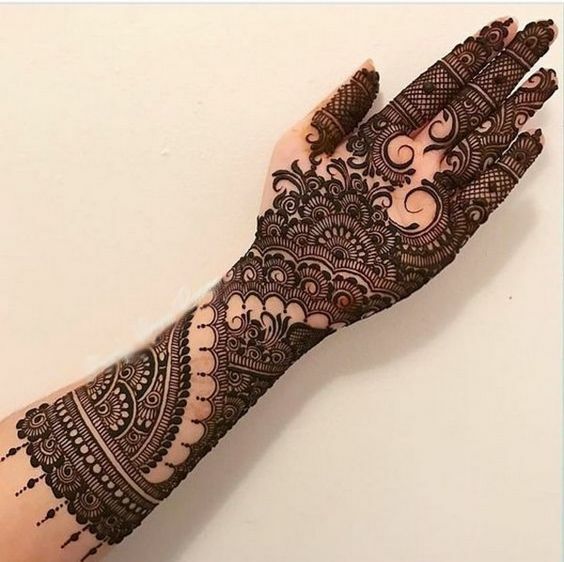 If you're a bride that is not too fond of heavy mehndi then this design is the most perfect choice for you as it has a classy yet a simple design. 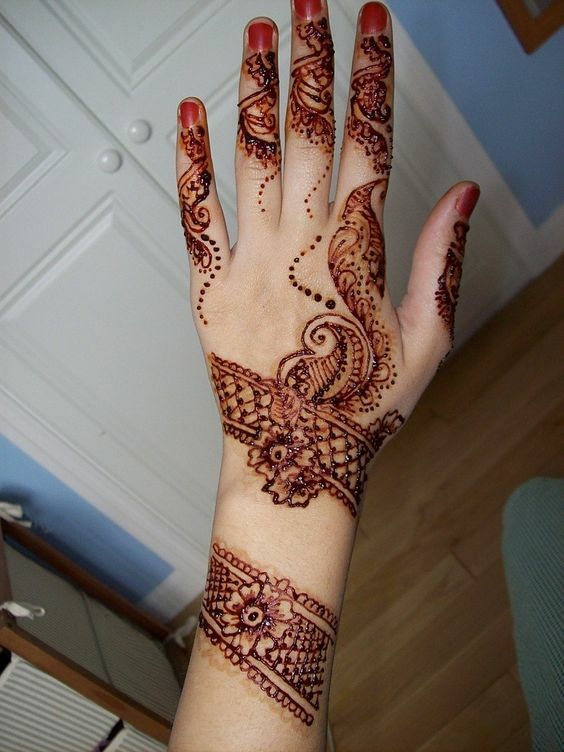 How can we miss out on the glitter mehndi as there are so many girls who are obsessed with it. 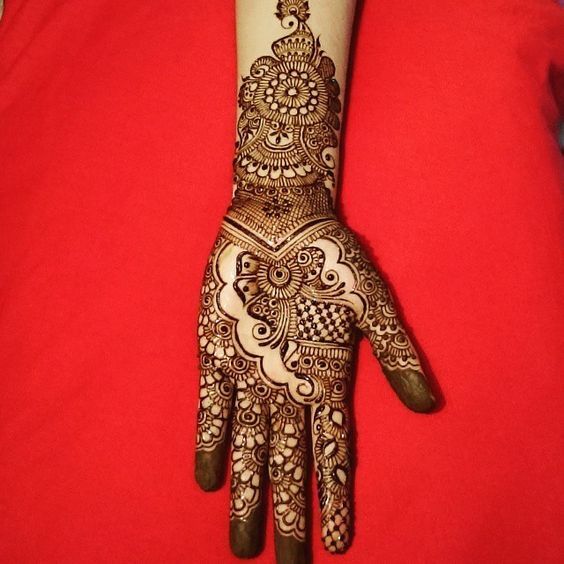 If you are a glitter lover then have a look at this beautiful mehndi design whcih has been made at the back of the hand and the full arm. 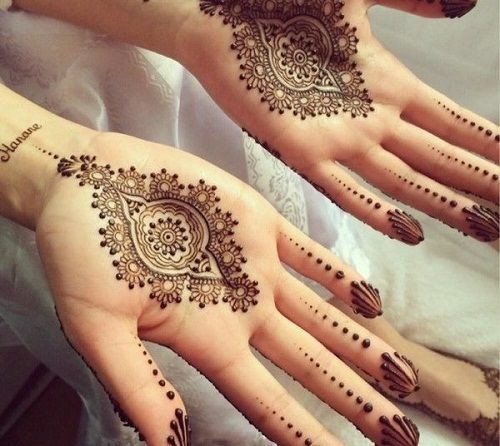 The patterns are beautiful which have glitter inside them. 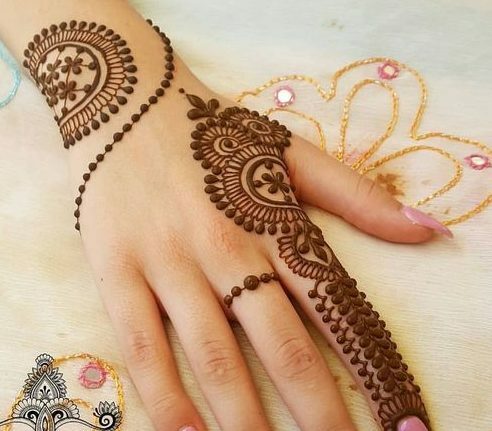 Mehndi is the most crucial thing for a bride as it can be a very tough task to pick the perfect design for the big day that looks great with the jewelry and the dress. 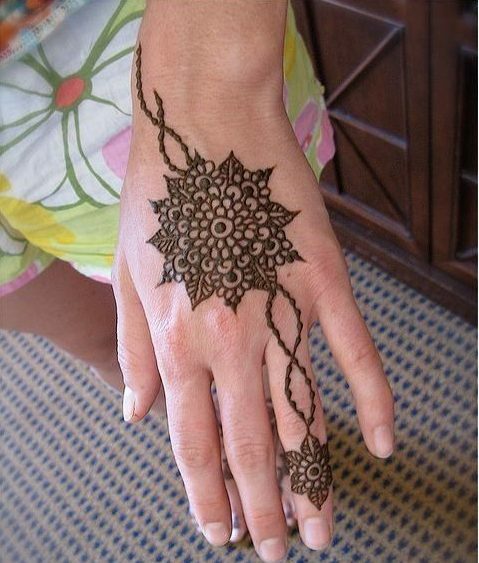 Look at this stunning mehndi design which has really gorgeous sun patterns and is perfect for mehndi brides. 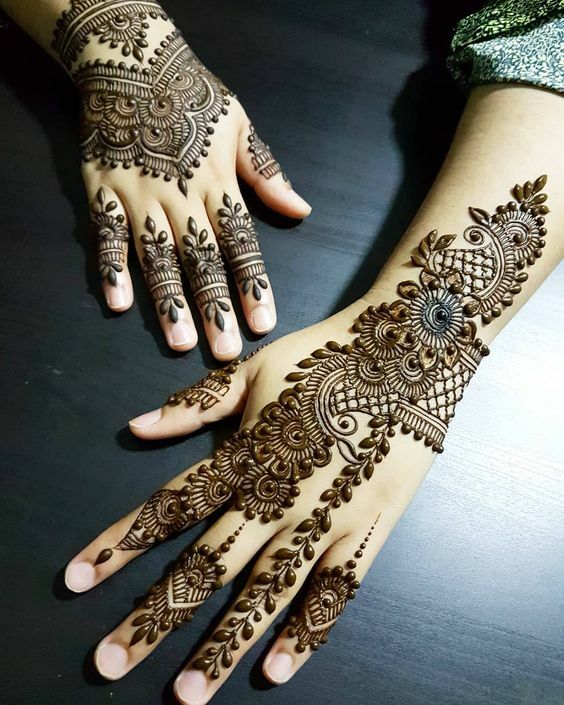 Girls these days prefer mehndi with the fewer patterns and that give the most modern look as nobody wants a hand loaded with tons of mehndi patterns enclosed in a design. 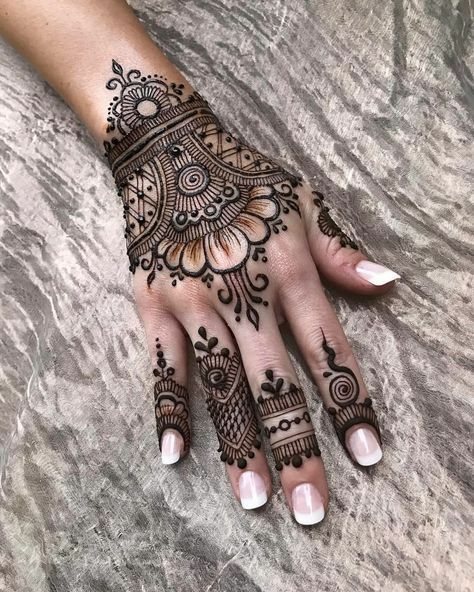 Here is a stunning mehndi design that looks like a sight for the sore eyes with the most beautiful patterns on fingers and middle of the hand. 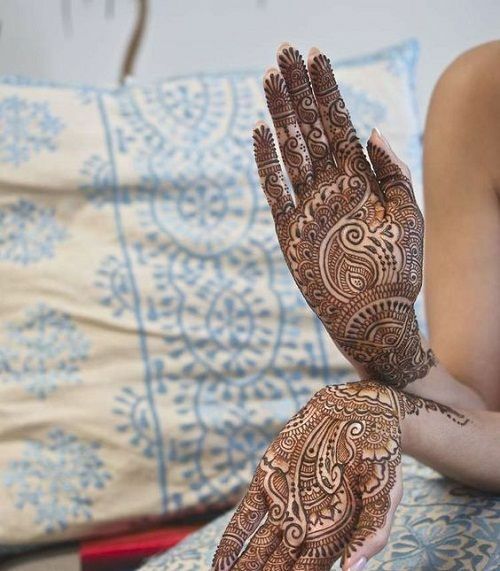 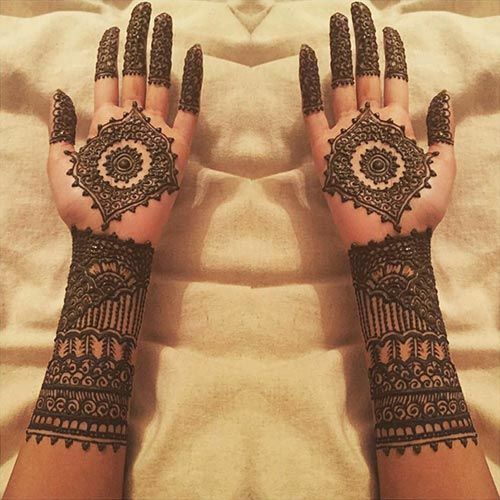 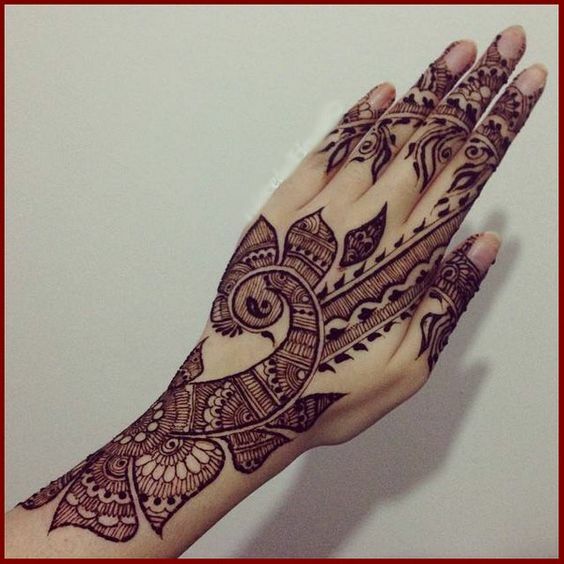 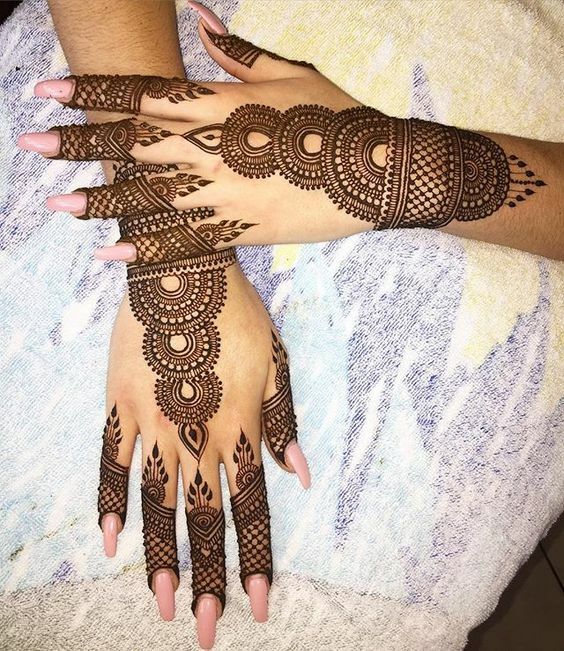 So, if you are a person who is not a fan of minimalistic mehndi and wants arms and hands full of mehndi on the big day then this design is perfect for you. 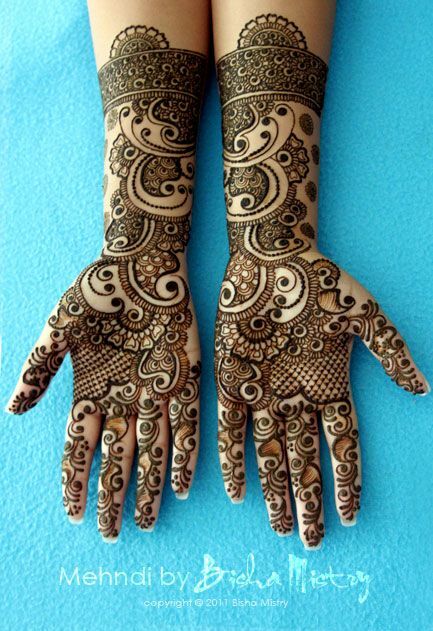 It has amazing various kinds of patterns which extend till the end of the arm and has a lot of filled spaces. 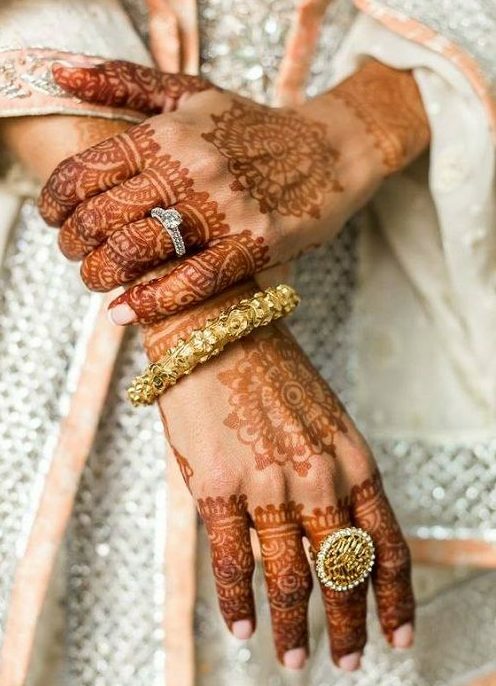 Flowers are everybody's favourite no matter where the mehndi is from. 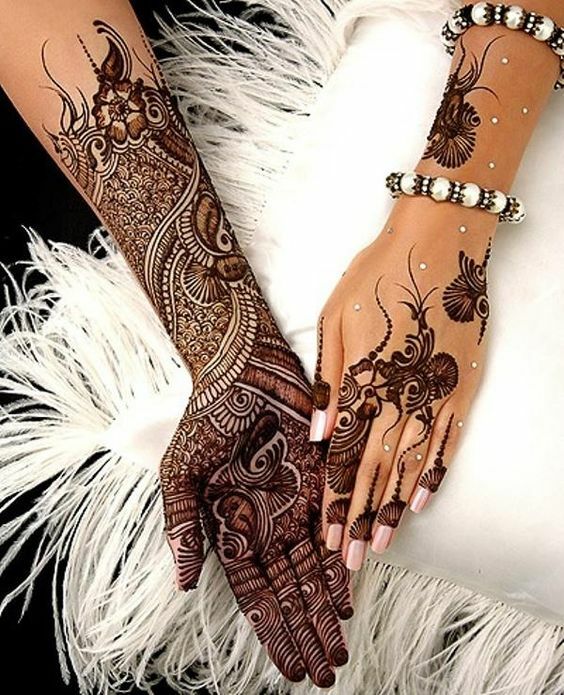 People love floral patterns whether it is a Pakistani style mehndi or an Arabic styled mehndi. 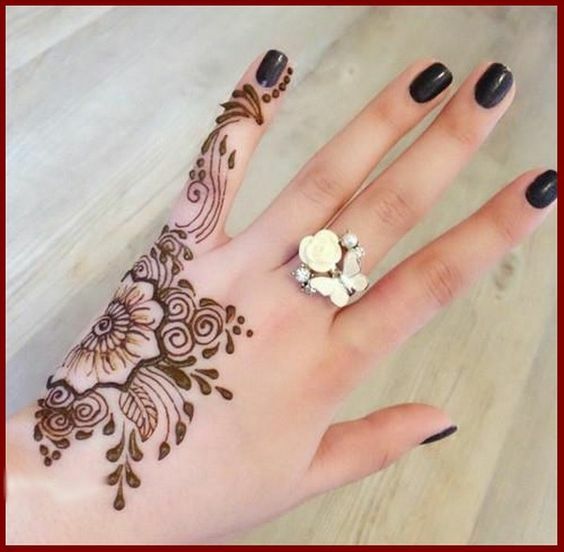 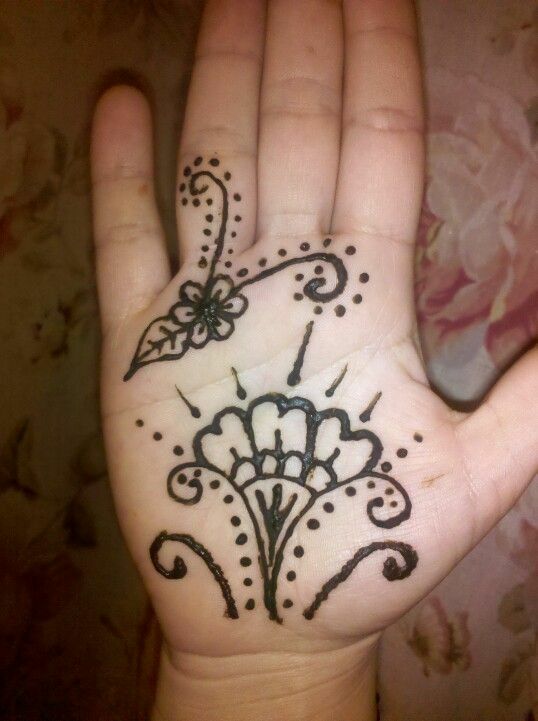 Look at how beautiful this Arabic bridal mehndi design is which you can apply on the back of your hand. 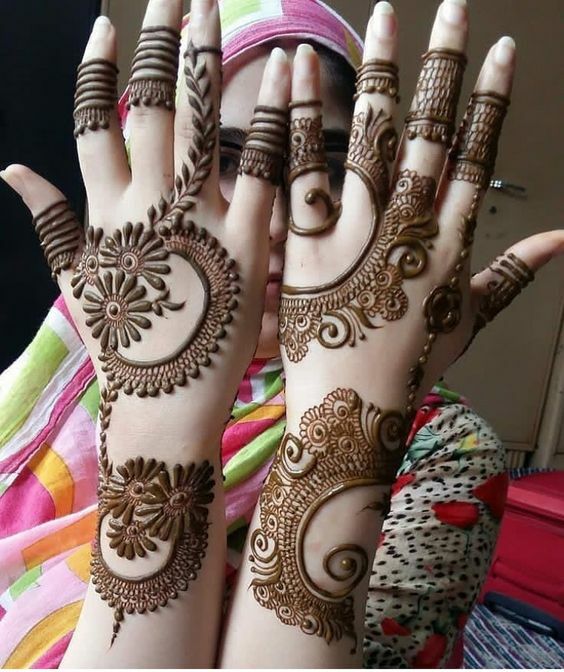 If your engagement is coming up or even if you are about to get married and your search for the prettiest yet simple mehndi design is on then stop right ther., As this design is going to be loved by you which has beautiful and clean floral patterns. 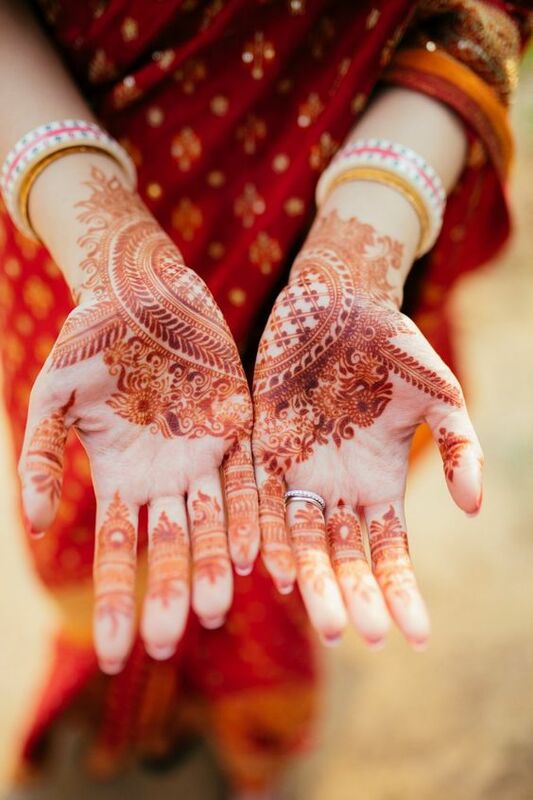 Floral mehndi designs are loved and appreciated everywhere no matter which country it is. 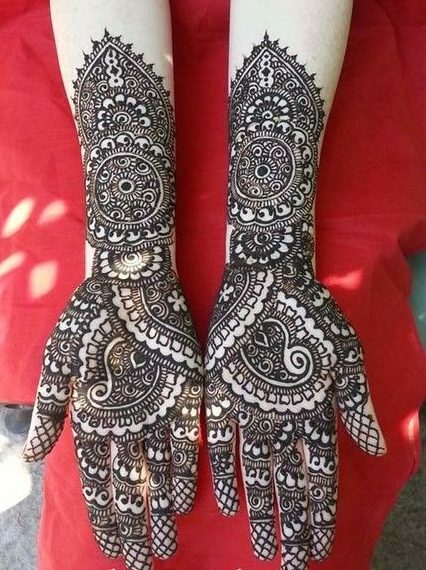 Have a look at this beautiful floral mehndi design which is perfect for the Indian brides who want something fun and not traditional. 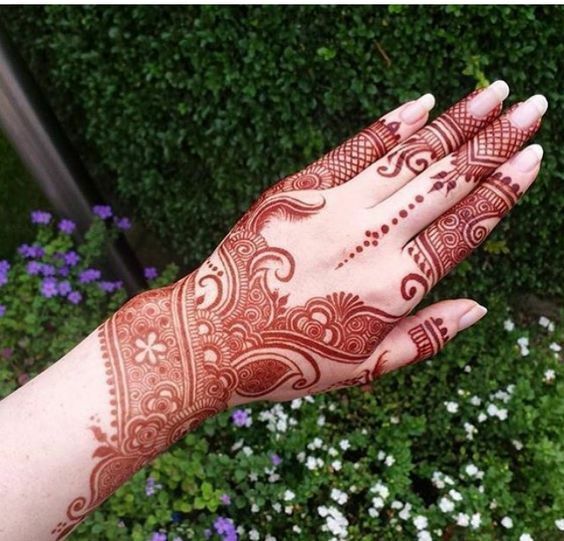 It has vine patterns that make it look even more lovely. 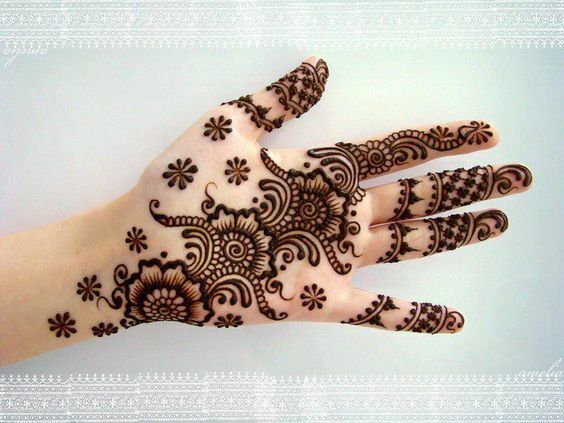 It can be quite a hectic tasks to look for design that are very beautiful but look simple at the same time. 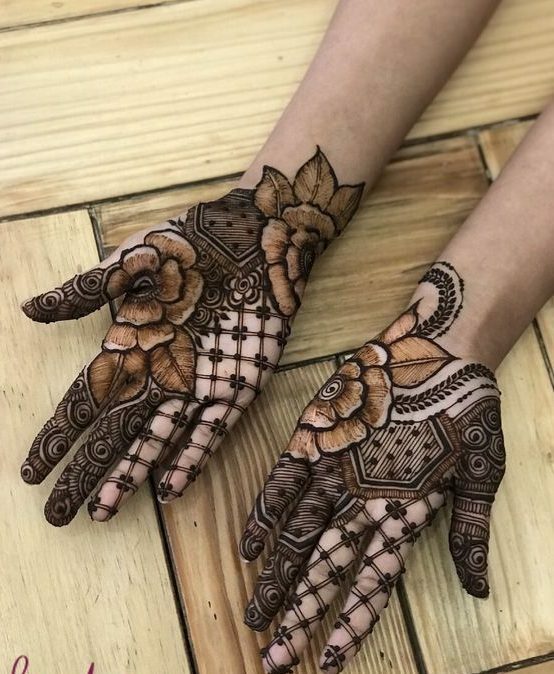 So, for those brides who are fans of simple mehndi designs can have a look at this gorgeous designs which has been made at the front hands with some darker flower patterns.